I am trying to install Windows 10 in EFI mode on a Mac Pro 5.1, to co-exist with Snow Leopard, also installed in EFI mode, in GPT partitions, and Windows XP, installed in BIOS mode, in an MBR partition. So I set up hybrid partitions, using Gdisk, with 4 MBR partitions at the beginning of the disk (for some reason, the Windows XP installation will fail if the 4 MBR partitions are at the end of the disk, and for some other reason it needs to be on the 4th, but those are different issues). And says: "Windows cannot be installed to this disk. 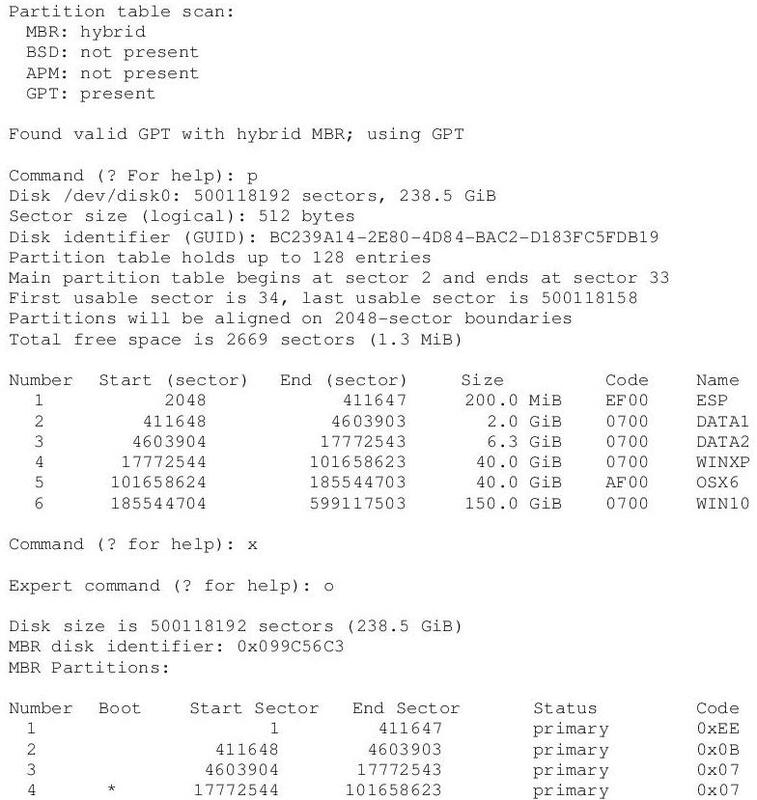 The selected disk has an MBR partition table. On EFI systems, Windows can only be installed to GPT disks." If there are no hybrid partitions, Windows 10 installs OK in EFI mode. Is Windows 10 installation in EFI mode incompatible with hybrid partitions? Has anyone encountered this or found a solution? A Windows 10 installation in EFI mode is incompatible with hybrid partitions. A solution would be to install both Windows XP and Windows 10 in BIOS mode. Not the answer you're looking for? Browse other questions tagged windows partition mac-pro efi .